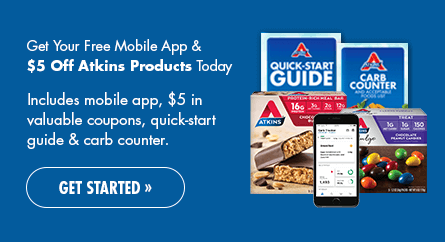 FREE Atkins Diet Quick-Start Kit, and access to FREE tools today to help you succeed in losing weight. You have to sign up, just complete the details on the sign up form to receive the free quickstart kit. Quick-Start: For people who don’t cook or for those who want the easiest, quickest way to experience weight loss the Atkins way. Standard: A balance of simple home-made recipes with the ease and delicious taste of Atkins products.